We provide LED lighting solutions for a wide range of settings, including commercial and retail spaces, industrial warehouses and factories, architectural structures and buildings, restaurants, pubs and clubs, sports arenas and stadiums. SERA Technologies are experts in the field of LED lighting Solutions and are passionate about the advantages of switching to LED technology. We are committed to educating customers about the benefits of LED lighting and the importance of buying quality LEDs from a trusted supplier. 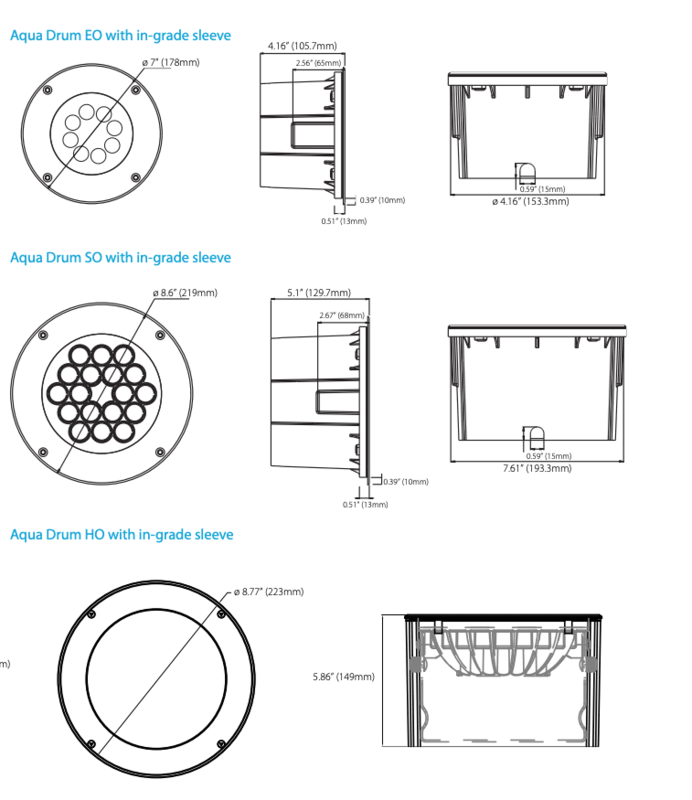 In ground housing for the Acclaim Lighting Aqua Drum LED lighting fitting. Available in three sizes – to be selected depending on which Acclaim Aqua Drum you have. 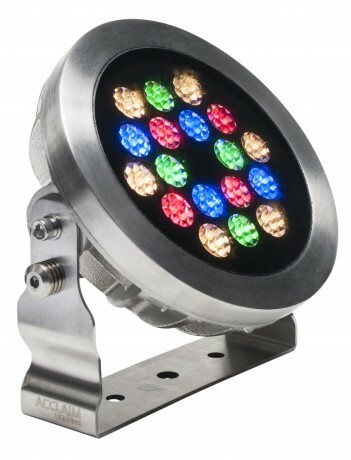 This is the in ground (ingrade) housing for the Acclaim Lighting Aqua Drum LED lighting fitting. 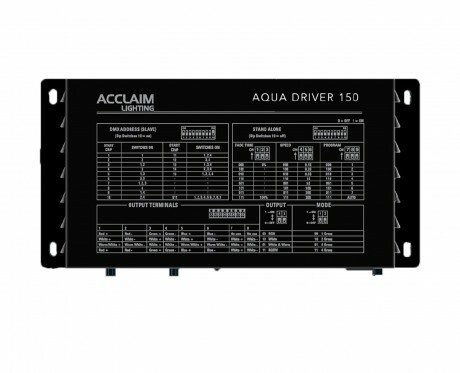 It comes in three sizes, so please be sure to select the correct one for the Acclaim Aqua Drum you have. *For those who select next working day (Premium service) your orders get priority. Meaning we will ship them the same day as long as the order is received before 1300 on a work day (Mon-Fri). Orders received on a Saturday or Sunday will be dispatched on the Monday (excluding bank holidays), which means you will receive them following day. ** There is a £55 charge for delivery of fittings over 2m in length due to Carrier costs. Nearly all orders are sent via courier, and a signature is required. UK Standard or free delivery is about 3-4 days. All European deliveries take 4-6 days. Rest of world deliveries take around 6-8 days. If your country is not listed please contact us for shipping and order placement on +44 1727 600102. All Anolis fittings are made to order, delivery is approx 4-6 weeks. Backorders will be delivered as quickly as possible (Usually within 28 days) we will notify you by email of an expected delivery date. We have a 30 Day return policy, however the good must be unused , in their original packaging and as new. Custom made or made to order are not returnable, creditable or exchangeable. If you need to return something or the goods are faulty please contact us on 01727 600102 or email sales@seratechnologies.com before sending anything. We recommend using a tracked service for returns, please note we only pay return postage if the goods are proved faulty. At Sera Technologies we are proud to offer high quality products at a fair price, with many available for next day delivery. All our products come with a warranty of 3 or 5 years. See product Page. So rest assured that if you have a problem with any of our products we will sort it for you as quick as we can. You can contact us by email, LiveChat or on the telephone. You will require you original order details, if you did not purchase direct please contact your supplier for assistance.